My reading pal, Jessica (@jessicamap), and I read this second book in the Outliers trilogy from Harper Collins. Keep on scrolling to see the synopsis and our thoughts on this YA fiction/mystery thriller. 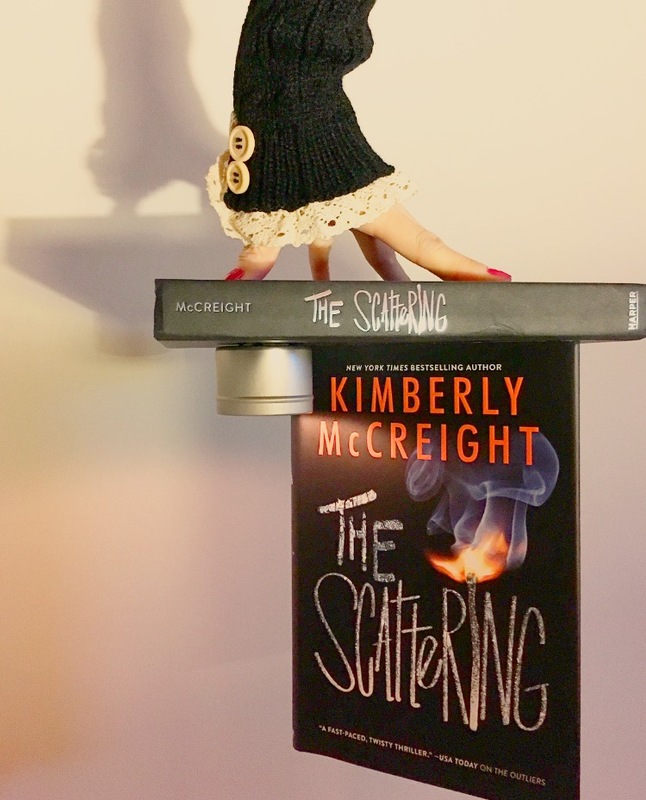 New York Times bestselling author Kimberly McCreight raises the stakes in the second book of the heart-pounding Outliers trilogy, a uniquely speculative story about secrets, betrayal, and a world where one small group of people are blessed—or cursed—with an incredible power. Wylie may have escaped the camp in Maine, but she is far from safe. The best way for her to protect herself is to understand her ability, fast. But after spending a lifetime trying to ignore her own feelings, giving in to her ability to read other peoples’ emotions is as difficult as it is dangerous. And Wylie isn’t the only one at risk. Ever since they returned home, Jasper has been spiraling, wracked with guilt over what happened to Cassie. After all they’ve been through together, Wylie and Jasper would do anything for each other, but she doesn’t know if their bond is strong enough to overcome demons from the past. It is amid this uncertainty and fear that Wylie finds herself confronted with a choice. She was willing to do whatever it took to help Cassie, but is she prepared to go to the same extremes to help complete strangers . . . even if they are just like her? On a walk with her german shepherd, Becket hears a cry in the night. Fearing for this baby's safety, she walks into the fog to see if she can help. A single prick of her finger, a single drop of blood opens a doorway to another world... a world that slowly comes out when the sun goes down. She questions her sanity as she sees weird changes to her city - only at night and she can never get any proof. As time passes, these changes become more and more prominent and soon everyone is seeing what she is and people are forced indoors after daylight in order to survive. Otherworldly forces are after Becket, seeming to single her out, but why? I went into this book completely blind. I found the cover intriguing and knew this was a catered to teens so wasn't sure entirely what to expect. Towards the middle of the book, I couldn't stop reading. I love this world that the author created. Though typical in the "blood drop makes terror" story line, the things that happen at night (though gruesome at times) really kept my attention. Becket is the typical insecure teen with self esteem issues and so, at times, became quite annoying, but there is a strength to her underneath this that I found quite compelling. I think you'd be quite surprised at the turn of this book. I can't QUITE put my finger on what it reminds me of, but I know that whatever it is, it's satisfying. I look forward to the continuation of this story, Nightwatch, coming out at the end of the month. If you like dark, urban horror but are unsure because of the "teen" genre associated with it, I encourage you to give this book a chance. It may surprise you in the best way like it did for me. Wylie and Jasper are back. Dealing with Cassie's death, they start to pull apart - Wylie learning more about her ability and Jasper trying to handle his guilt. Worried about Jasper, Wylie goes looking for him, just to end wind up waking up in a hospital, cuffed to a bed. She finds herself in a hospital with other Outlier subjects, the ruse of keeping them there being a potential weird strain stemming from strep throat, called PANDAS. *cough* Wylie manages to escape and as she tries to find a way to save the girls left behind, finds more secrets and more reasons not to trust anyone. 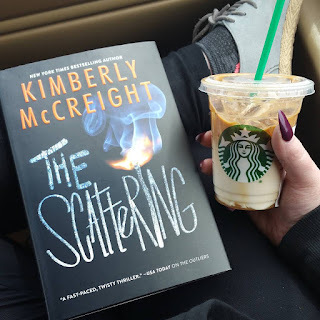 An easy and entertaining read, if you saw my review for book one, The Outliers, you know that I have to suspend all reality to let myself fall into this world that McCreight created. This book felt a bit choppier than the first one. One minute would be details of what was happening and back stories and then, in a flash, time has passed or things have been moved along and summed up in a few short paragraphs. Felt a little whiplash here and there. Jasper seemed like a completely different character in this book and once again, we are left with more questions than answers. That being said, I read this in one sitting, which means it clearly kept my attention. And after the ending, I am curious as to where the final book in this trilogy will take us.... but I'm not sure if I'm QUITE that invested. 3 Stars and a big thanks to Harper Collins for the read in return for my honest review. The Scattering by Kimberly McCreight is book 2 in THE OUTLIERS series (with a third one on the way!) I really enjoyed the first book in the series, so I was excited to dive into this one. I was not disappointed! I really want to go into more detail, but I don't think it'd be fair to ruin parts of the plot for people that might not have read the first book (I'm totally guilty of looking ahead for reviews on books in a series). So I won't give away too much. (I'm making sure to only include what you could find in the Goodreads synopsis or Amazon, etc). Wylie and Jasper may have escaped the camp in Maine, but they are definitely far from safe. The only way to best protect herself is to give in and try to get past a life time of ignoring her own emotions so she can use her new found ability (being able to perfectly read the emotions of others). Ever since they returned home, Jasper has been spiraling out of controlled because of the guilt he feels over what happened to Cassie. Even after everything Wylie and Jasper have been through together, she doesn't know if their bond is strong enough to overcome their demons from the past. Like I said, I tried to stay pretty vague and not elaborate too much on what you could find as a synopsis anywhere. I really enjoyed this book and I'm excited for book three in the series. 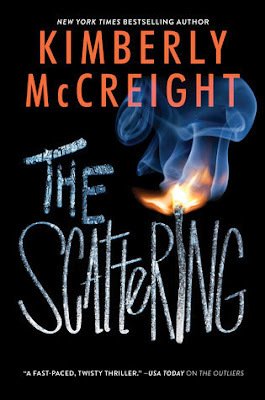 If you enjoyed THE OUTLIERS, then I highly recommend continuing the series.